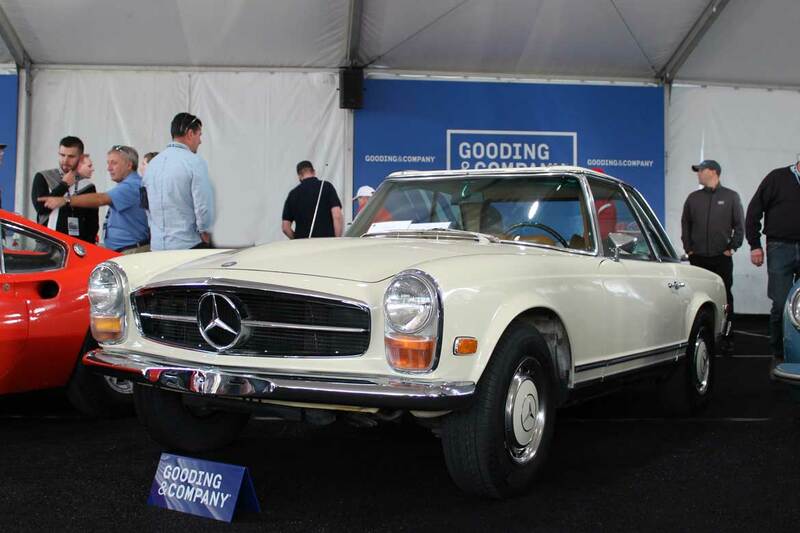 One of the cars that fell well short of the seller’s expectations as well as the auction estimate was lot 109, the 1969 Mercedes 280 SL in Ivory (670), offered on the second day of the Gooding sale. 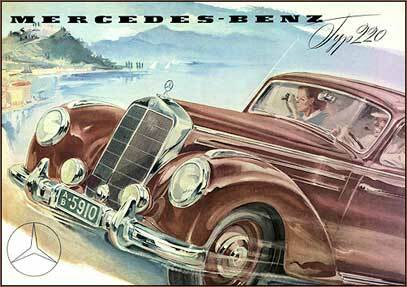 A week before the auction, based only on the catalog description, Mercedes-Market predicted an $80,000 sale price (See our Gooding and Co. Day 2 auction preview article for that info by clicking this link). I had the opportunity to talk to the owners of this car before and after the sale. They had just completed a major service in addition to the installation of new shocks, sub frame mounts and a number of other regular maintenance items. Unfortunately, an auction buyer cannot see those things like they can a shiny new paint job or brand new leather interior… neither things this car had. 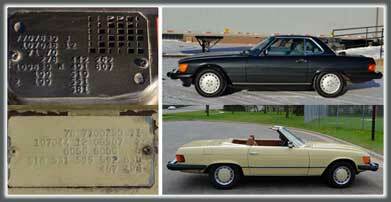 This car had the correct body # stampings, spot welds, fender notches, all the things I like to see in a Pagoda SL. The interior was original Congac MB Tex and in very good condition. It wasn’t brand new, it’s almost 50 years old, but it was in great shape and fit the rest of the car. The passenger’s side carpet mat was a bit frayed, but again, to me, this is just an honest representation of a charming old car. Sure, for not much money, the consignor could have put in new carpet, but then he’d have new carpet with an otherwise original interior. He chose to leave things as they were, original. Unfortunately, the casual auction buyer saw worn interior carpet and paint chips on the front of the car. 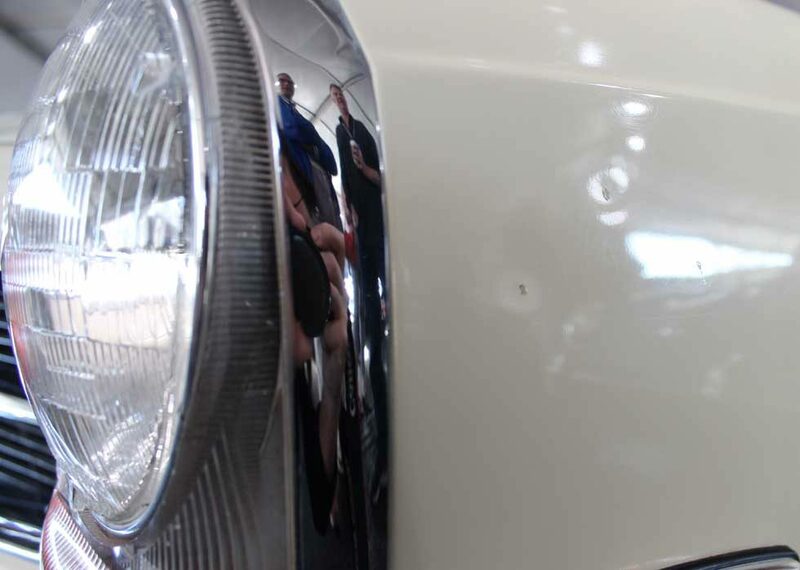 I think most auction buyers often expect to see new everything in these cars… right or wrong… and that’s why we so many ‘quickie re-do’s’ at auction. Amazingly, many auction buyers reward new carpet and interiors, even if they look out of place on an otherwise original car when it crosses the block. We shake our heads when we see a car with a recent repaint in red that’s incorrect sell for lots of money at auction, we also shake our heads when a largely original car like this one falls short of expectations, but we shake our heads for different reasons. No real head shaking here though, this was a market correct result for a car in this condition in 2018. The new owner ultimately paid $74,250. The hammer price was $67,500, subtract the auction company’s 10% of $6,750 and the consignor goes home with a little over $60,000. That’s the risk you take when consigning with no reserve to an auction. The consignor told me that he had ‘$80,000 in it’… ouch.